A coming-of-age romance with threads of suspense. I love Becca Fitzpatrick’s books and I love thrillers, so I was extremely excited to read Dangerous Lies. The novel centers around a girl (Estella Goodwinn) who witnesses a crime and is placed in witness protection as a result. Estella grew up ignored by her drug-addicted mother, left to fend on her own. But after witnessing a murder, she and her boyfriend are whisked away to separate locations, while her mother heads to rehab. Estella becomes Stella Gordon, and is taken to a small rural community in Thunder Basin, Nebraska. Her new life couldn’t be more different than the life she left behind in Philadelphia. She rebels in every way, hating every minute she’s away from her no-rules lifestyle, away from her boyfriend. Soon enough, however, she befriends the enigmatic Chet Falconer (her neighbor) and begins to form a connection she never expected. Meanwhile, danger looms around the corner as those she plans to testify against do everything they can to find her. This was a fairly well-crafted story, with rock-solid writing (as always), but my main letdown was that I felt it needed to ratchet up the suspense factor. 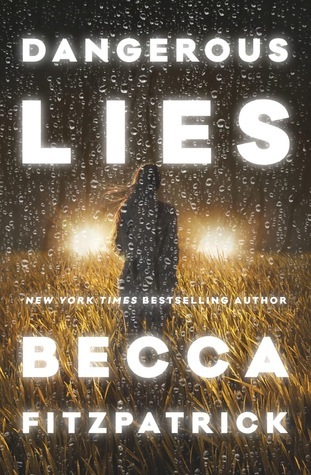 Dangerous Lies felt more like a romance or a coming-of-age story, with a great deal of focus on the intensifying feelings between her and Chet. I wanted more moments of action to punctuate the thriller aspect of the novel. In addition, there are plot threads that were never tied off, leaving me with unanswered questions. This is a well-written novel perfect for those who love to relish in summer love with some minor notes of mystery. Billing it as a thriller was the book’s primary disservice.